Immerse yourself in a world of exotic Asian flavours. Following the huge success of the inaugural event in 2018, Spicers Tamarind Retreat proudly presents the 2nd annual Sunshine Coast Asian Food Festival on Saturday 16th February 2019! Set in the beautiful rainforest surrounds of Spicers Tamarind Retreat from 1pm, this is a special opportunity to enjoy an afternoon of incredible Asian food and interactive cooking demonstrations. As part of the experience, guests will indulge in five mouth-watering Asian dishes, accompanied by two matching beverages. Guests are encouraged to bring a picnic blanket along and relax in the sunshine whilst savouring the amazing exotic tastes of Asia. There will also be live entertainment throughout the afternoon. 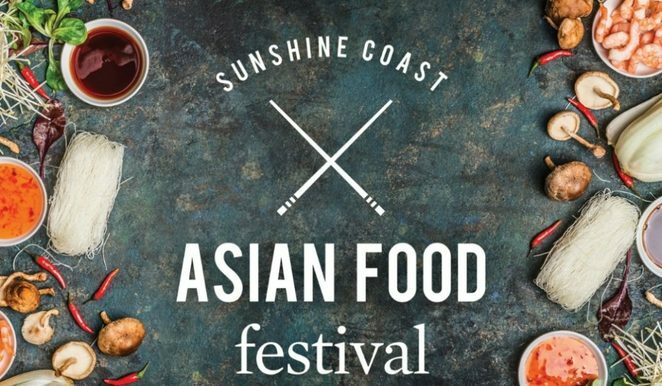 This is an event not to be missed this summer, so get a group of friends together and enjoy all that the Sunshine Coast Asian Food Festival has to offer! Tickets are now on sale through spicersretreats.com/events and priced from $65pp. You can also take part in the afternoon Riesling Masterclass with Spicers’ own sommelier Peter Marchant. Make sure you choose the ticket with the Masterclass included! Click here to find out more about ticketing options and inclusions. Due to the nature of this event, unfortunately, dietary requirements cannot be catered for.